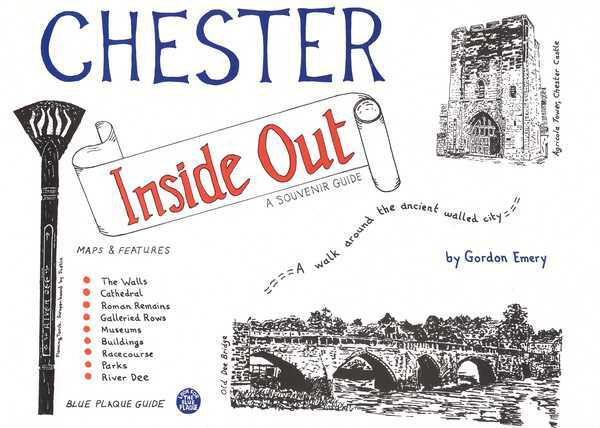 A walk in four sections, each starting from Chester Cross and looking at the streets, rows and alleys of the city. Hundreds of illustrations. The limited edition hardback may be available from secondhand dealers. The paperback is still available. Take a stroll around Chester to see the famous galleried shopping rows and Tudor-styled buildings. Explore some of the city's more unusual features such as medieval lanes, alleys, cobbled streets and hidden yards. Visit the racecourse, the castle and its Georgian parade ground. Find Roman remains and the sites of Norman monasteries as well as cellars and the cathedral. Leave the city walls to explore the old canal and industries. Saunter down to the tree-lined riverside where you can enjoy ices by the Edwardian bandstand or take a boat trip on the flowing waters of the River Dee. Includes a walk in four sections plus a wealth of illustrations, maps & features, so you can even follow the walks from your armchair. page 90 The Odeon is Art Deco not Art Nouveau.